Last December, I made a decision. Every week of 2017 I would participate financially in supporting a crowdfunding campaign. 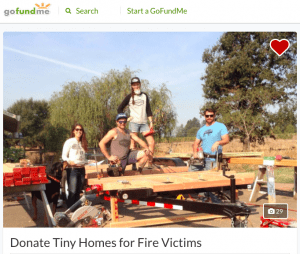 Nearly 52 weeks later, I can report that I opened my heart and my wallet over 52 times over the last year in sums from a few dollars to a few hundred dollars to campaigns ranging from building tiny houses for fire victims in Santa Rosa, California, to supporting a woman entrepreneur in growing her food business to investing in the development of a new social media platform. I took this journey because I believe our wallets are the the most powerful tools we have to effect change in our modern world. And if we want to see transformation, we need to invest in the people and organizations who are doing the work we want done in the world. The concept of supporting crowdfunding campaigns on a regular basis is not new to me. I’ve been an avid supporter over the last 5 years. It’s also the first piece of advice that I give to people who want to launch crowdfunding campaigns: “So you want to ask others to support you financially…have you ever backed someone else’s campaign?” You’d be surprised how many people have not. 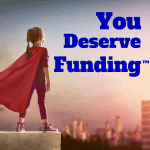 But I was inspired to make a specific commitment by an article in the Crowdfund Insider by my colleague Amy Wan who called out crowdfunding colleagues for not supporting the industry they are a part of by investing in campaigns. Some of the weeks the campaigns would just show up in my inbox. Some weeks it was difficult to know where to contribute amidst hurricanes and floods and wildfires. The campaigns I backed hit all categories of crowdfunding: personal causes on GoFundMe, nonprofit donations via Causevox, peer-to-peer loans on Kiva, new films on Seed&Spark, monthly support for a blog and podcast on Patreon, new products on Kickstarter, Regulation Crowdfunding debt & revenue-share campaigns on NextSeed, Regulation Crowdfunding equity campaigns on Wefunder, and even a self-hosted Regulation A+ campaign. As I look over the list, I see my values reflected back to me: supporting artists, makers and innovators, women and minority-owned businesses, sustainable foodmakers, social impact real estate projects, Net Neutrality, natural disaster relief, and neighborhood causes. 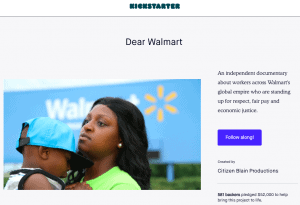 This past weekend I opened my email to find an update from a crowdfunding campaign I backed two years ago for a documentary film called “Dear Walmart.” This was not a film I consulted for or knew anyone involved with. I heard about it from a friend of mine who is passionate about unions via a Facebook post. I backed the campaign in honor of him. The update sent to backers contained an early segment of the film and was apologetic for the slow progress of the film. But all I could do was try not to cry as I watched these Walmart workers tell their stories. Without crowdfunding, this film would not be in production. The voices of workers organizing to be treated with dignity, respect, and to earn a livelihood that falls above the poverty line would not be heard. But this is just lap one of my marathon. I know I can do more. I have a whole list of changes that I want to make regarding where I spend and invest my money. 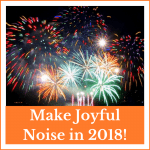 But to start, I am re-upping my commitment for 2018. Over the next 52 weeks I will again put my money where my heart is supporting campaigns by people and organizations who are doing work that I find inspiring or healing or just downright necessary. Will you join me? 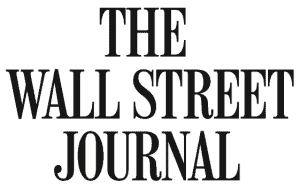 Use your financial power to influence what gets made, who makes it, and who benefits. Maybe not via crowdfunding, but make a commitment somewhere in your life to move your money toward the reality you want. You do not know the power you have. P.S. Feel free to use the hashtag #ParticipationIsImpact when you do!